Springs arrival brings carpenter ants, and unfortunately this is sometimes out of the woodwork – literally. Carpenter ants damage wood by hollowing it out for nesting, The difference between carpenter ant damaged wood and termite damaged wood, is the lack of mud in tunnels and nests. Late spring brings carpenter ants out in swarms, endangering wooden structures including your home. 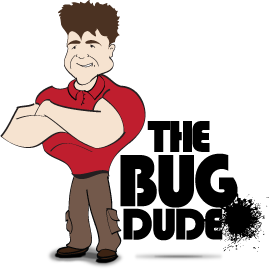 If you have carpenter ants, contact The Bug Dude for pest control in Fort Worth. Carpenter ants vary in size, but are typically large in size (1/4 to 1/2 inch) and black in color. Shredded wood similar to coarse sawdust may be ejected through cracks in the wood, or exits made by the ants. This pseudo sawdust is a good indication of a carpenter ant nest nearby. If you see unexplained “sawdust piles” contact us for pest control in Fort Worth. Carpenter ants prefer moist wood, but will nest in dry wood. Inside the home, nests are typically found in wood that is damp from water leaks, such as around bathtubs, sinks, leaky windows or doors, roof leaks and leaky chimney flashing. The nest can be inside or outside of the home or other affected structure. Carpenter ants establish two types of nest, the parent colony which contains the queen, her brood and several thousand worker ants, and satellite colonies which contain large numbers of worker ants only. Contrary to popular belief, they do not eat wood as termites do, but merely tunnel through wood, and nest in it. The best way to control carpenter ants is to hire a professional for pest control in Fort Worth to locate and destroy the nests. The extent of damage to a structure will directly depend upon how many nests there are, and how long the infestation has been occurring. Because carpenter ants often utilize electrical wiring and plumbing to move within a home, an extensive and long lived infestation may require access through the walls for treatment. Effective extermination often requires a multi-pronged approach with professional pest control in Fort Worth for prevention and treatment of existing infestations. After the initial treatment, quarterly applications from a professional should be applied to prevent further infestation in the future. The Bug Dude uses a variety of approaches to treat carpenter ants as recommended by the scientific research for Fort Worth and the surrounding areas, and our extensive research. The fine particles stick to the hairy surfaces of ants’ bodies and is carried into the colony. As they clean themselves and feed other ants and larvae, the insecticide is spread throughout the colony. Standard treatment of carpenter ants typically provides a quarterly perimeter spray with professional pest control in Fort Worth throughout the year. This spray disrupts foraging trails and assists in preventing entry from parent colonies nesting outside your home. The exterior perimeter spray typically includes an application against the foundation, under the edges of the siding, around window and door frames, and on carpenter ant trails. Repair roof leaks, plumbing leaks and faulty gutters and downspouts. Ensure water drainage is well away from the home’s foundation. Ensure mulch and planter beds are at least 12 inches from the homes foundation, and that soil surrounding the foundation slopes away from the home. Splash guards should also slope to distribute water away from the home to prevent water from standing near the foundation. Keep tree limbs, and other vegetation off of the roof or siding of the house. Seal cracks and openings in the foundation, and where utility pipes and cables enter from the outside. Seal gaps and cracks surrounding windows and doors; ensure door sweeps are in good condition. Stack firewood at least five feet from the home. The further away it is from any structure, the least likely carpenter ants, termites or other insects are to invade your home. Elevate it 8-12 inches off of the ground to allow air flow to circulate under it, preventing the build-up of moisture that insects such as carpenter ants favor. Never store firewood in the garage or other areas of the home, to help to prevent carpenter ants. If you suspect you have carpenter ants don’t delay, give us a call for effective ant extermination with professional pest control in Fort Worth. Call The Bug Dude today.